Incendiary Flag design on sturdy white, glossy ceramic mug. 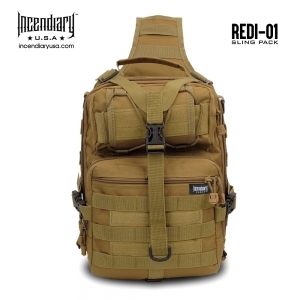 Ambidextrous REDI-01 Sling Pack is loaded with great features. Tough enough to join you on any outing or terrain, the REDI-01 is ready for any challenge. 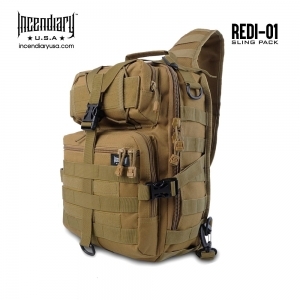 This large ambidextrous sling pack with both side and Y compression straps can be loaded up and strapped down to increase your carry potential. There’s plenty of take-along room for your EDC, laptop, jacket, emergency gear, blanket and supplies. Pockets and pouches accommodate your passport, airline tickets and personal items.